The two snow gates, which cost $25,000 each, were tested in six areas around north Spokane and Spokane Valley as part of a pilot program launched by the county this year. A snow gate is a large bladelike device that can be attached to the side of a grader. It is designed to temporarily interrupt the large volume of snow created in a grader’s path. Spokane County Commissioner Josh Kerns said at a news conference Friday the county typically receives complaints in the winter from people whose roads haven’t been plowed at all or have been plowed with a berm in front of their driveway. Although snowfall has been light this year, the county was able to gather decent data from the pilot program, he said. The city of Spokane installed snow gates on seven pieces of equipment as part of its pilot program in 2017. As a result of the successful program, the city more than doubled its amount of snow gates to 16 last year to avoid placing snow across driveways and alleys. 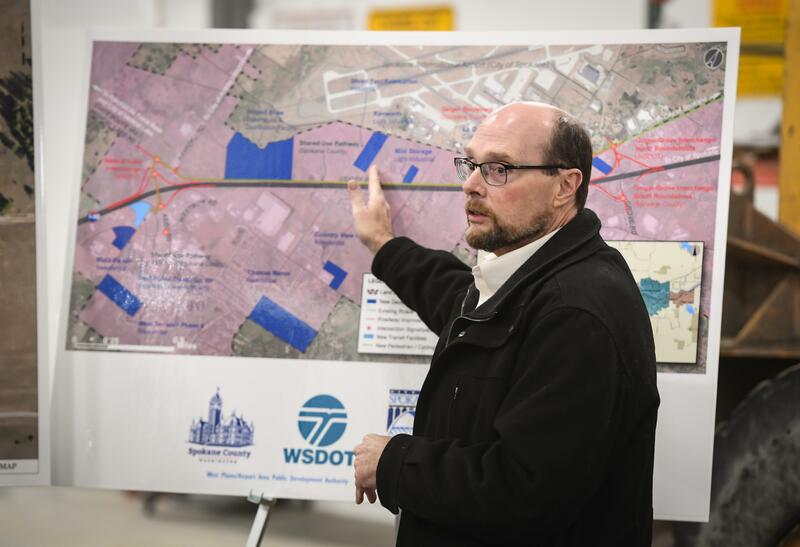 Spokane County’s snow gates will be used primarily in urbanized or suburban areas. The county plans to use money saved in plowing costs from this year’s mild winter to purchase four to six additional snow gates.